This 8-bedroom property features an old farmhouse and a stable, both restored into 2 lovely . . .
Large 15-bedroomed Norman house, with garden and outbuildings in a small peaceful village, offering a huge potential and a range of possibilities. This character property features a main 12-bedroomed home with plenty of space, an adjoining . . .
Great Deal - 2 houses on an acre of land crossed by a river in a peaceful village in the Bresle Valley. Excellent location! This 8-bedroom property features a spacious and comfortable contemporary home and a lovely . . . 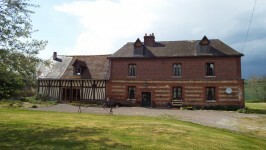 This delightful 9-bedroomed property offers a spacious family home, an adjoining gite and a . . . This comfortable family-size home is light and bright with good all-day sunshine, 2 terraces . . . Superb Equestrian property in 46 acres fenced paddocks, beautifully presented and in . . . 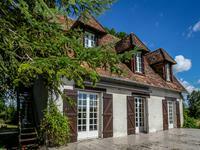 This property of nearly 500 m2 offers a 300 m2 family home, a chambre d’hotes, 2 gites and 2 . . . 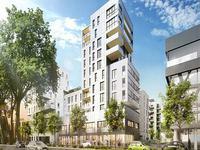 The Luciline Eco-District, located in the western part of Rouen, is a thriving and dynamic . 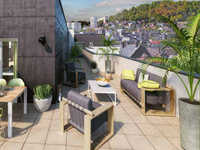 . .
Rouen West Préfecture-les Docks, high standard 2-room apartments with balcony for sale in a modern brand-new residence - Delivery 2nd quarter 2021. 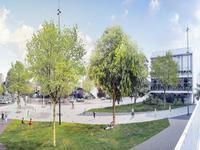 The Docks district, located in the western part of Rouen, is a thriving and dynamic area . 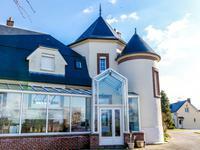 . .
1 km from golf court of Saint Saens, 30 minutes from Dieppe and 2 hours from Calais. . . .
30 mn from Dieppe and next to the golf course of Saint Saens, Guest house and cottage, with a . . .
25 minutes from Dieppe. Contemporary house with breathtaking panoramic views, enjoy the countryside while being in the village centre. 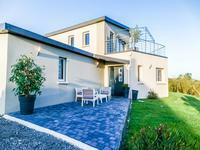 This very bright contemporary house built in 2012 on a plot of 1485 M2 has many good quality . . .
A fabulous modern house in a gated community on the outskirts of a pretty village. An exceptional house in a secure gated complex of nine houses. Boasting six bedrooms, five . . .
Quiet and an hour from the port of Dieppe, this charming house of approximately 150m2, has 6 . . .
At 30 mn from Dieppe, in the heart of a listed historical sector, a beautiful Norman property and its large outbuilding. An absolute charm. In the heart of a listed historical sector, it is a beautiful Norman property with absolute . 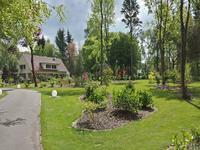 . .
25 minutes from the port of Dieppe, a beautiful villa of 370 m² on a park of 6400 m2. The village lies only 19kms to the north of the beautiful and historic cathedral city of . 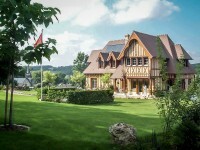 . .
Only 35 mins (31km) from Dieppe and 39 mins (52km) to Rouen, the Chateau village of . 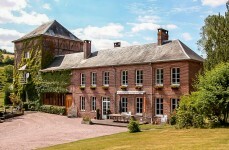 . .
15th century former Benedictine priory now a superb 5 bedroom family or chambre d' hotes set in over 1 acre of grounds. The village of Douvrend lies 25kms from the seaport of Dieppe in the Vallée de l' Eaulne. The . 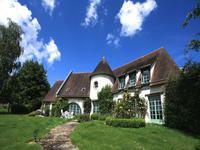 . .
20 minutes from Etretat, beautiful property with manor house, caretaker's house, pool, pool . . .
Well maintained first floor, 3-bedroom appartment just off the town centre with private parking. Easy access to the motorway. The beautiful Normandie town of Neufchatel en Bray lies just off the A28 motorway. The port . . . This magnificent Anglo-Normand style manor house (2003), designed by an architect and built . 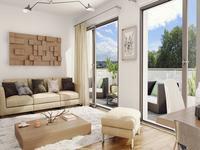 . .
Set in a small hamlet just a few kilometres from the A28 motorway, this offers easy access to . . . 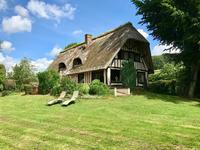 Stunning 3 bedroom, traditional Normandy thatched Chaumière with large private gardens close to towns and ferry port. Only 52 mins (45km) from Dieppe and 54 mins (56km) to Rouen the village-hamlet of Bosville . . .
A large family home set on a nice plot just a short walk from the heart of the village, . 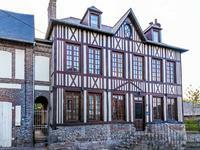 . .
La Bouille is known as the 'Pearl of the Seine', being a historic unspoiled village on the . . .
Large four bedroom detached house with large gardens, quietly situated but close to all amenities. Ideally situated in 1.5 acres of peaceful gardens this large family home offers lots of . 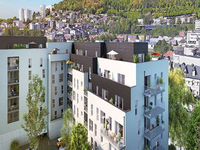 . .
Only 13kms from the A28 motorway andthe beautiful town of Neufchatel en Bray, Beaubec la . . .
Beautiful 6 bedroom modern family home set in over 50 acres of garden and forest, ideal equestrian or commercial use. Auffay, less than 200kms (2hrs) from Calais and only 25kms (28mins) from Dieppe is a small . . .
Beautiful 6 bedroom modern family home set in over 15 acres of garden and forest, ideal equestrian or commercial use. Lovely family home in friendly hamlet. Situated in a tiny hamlet outside the village Haussez in the Thérain valley. This valley . . .
1920's built farmhouse in brick and white stone with 2 bedrooms, studio and 60m2 of commercial area set in 1.6 acres overlooking open farmland. The beautiful market town of Buchy with its historic timbered Halles at its heart is set in . . . Fully restored former manor house with large gardens set in the rolling hills of the beautiful Pays de Bray. 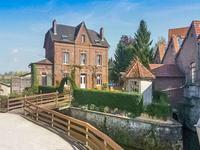 This small hamlet in the Pays de Bray ( famous for it's dairy products ) is only an hour and . 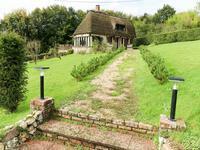 . .
Gite complex with swimming pool set in 6 acres of land. 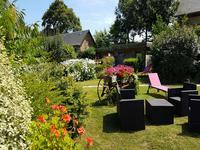 A complex of gites set in the spectacular Normandy contryside offering accommodation for up . . . 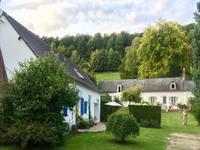 Located 20 km away from Rouen, one hour and a half drive from Paris in the lovely and . . .